The way you put Key Idea # 1 is going to be misleading. Intellectual property does create value, but only indirectly by facilitating relationships that would be tricky to initiate or maintain without both contract and well-defined property rights in place. But it’s really the people — the inventors and whoever else turns their ideas into products that people buy –, the people create the value. This clears up alot for me. I’ve always wondering if ecommerce stores could patent or protect against pricing strategies or even unique product descriptions. Another great post. 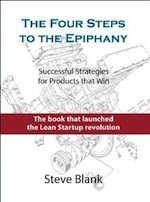 One key outstanding question for me is how to deal with patents in the era of lean startups. 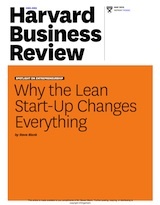 The central issue I see is that a truly lean approach requires an entrepreneur to get a half-baked idea into the marketplace as fast as possible to get feedback. The current patent system is structured to hinder this process. If you are launching and changing iteratively, then by definition the idea is going to change. Investing time and money into the patent process for an idea that is going to be tossed in 3 weeks can be a total waste. Thus it makes sense for an entrepreneur to wait until they achieve some level of product/market alignment before even starting the filing process. 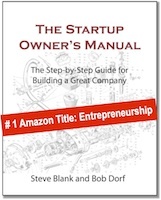 Unfortunately, the “1-year to file” creates an external clock working against an entrepreneur who waits. It can take months to figure out if you have product/market alignment, and the window to file gets shorter each day. Since filing a defensible application takes money, many entrepreneurs would have to fit fundraising into this same window. Of course I’m primarily talking about software-based startups at this point, but ultimately all technologies get commoditized and it will probably get faster and easier to build hardware, semiconductors, and medical devices such that market risk becomes a bigger driving force in these industries as well. I am curious to see how you and any other board members have advised entrepreneurs in these situations. Good question; I’m wondering the same thing and I would love to hear Steve’s viewpoint on this. I’m working at a startup now that loves to tout that it has a pile of provisional patents on software technology, but this has done little good for discovering what the customer needs (and, since the founder started with the patents when he finished the research at his university, is sort of backwards and stifling). For us, the IP claims seems little more than fluff for investors, and still, fruitless, since we haven’t gotten funded. Given the choice, I think an investor would care more about a pile of customer stories than a pile of provisional patents….